There is a big mistake in the security of Union Home Minister Rajnath Singh. 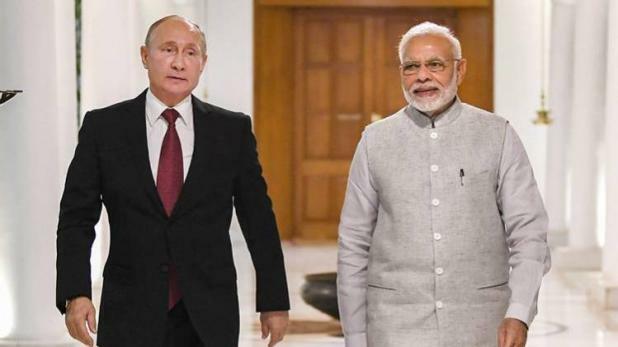 On Wednesday, Union Home Minister Rajnath Singh's helicopter, which arrived in Bihar's Araria, came down to 20 kilometers from the fixed location. They stood for 30 minutes without security. 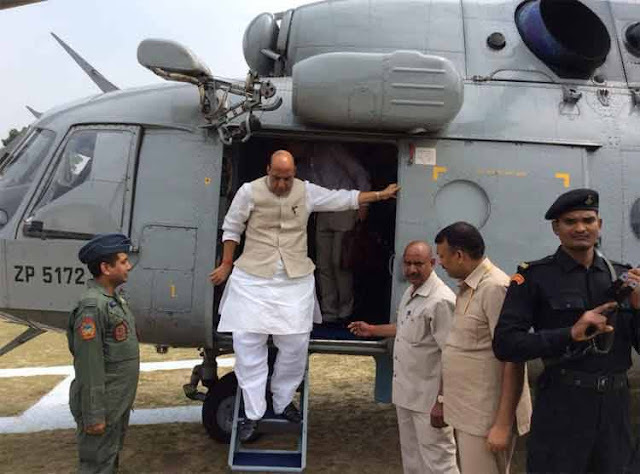 According to the news of the Indian Express, Home Minister Rajnath Singh was about to get off the helicopter of Araria in Nerpatganj. Here he was going to address the meeting of BJP candidate Prem Kumar Singh, but instead of having land in Nerpatganj, his helicopter landed in Madhal 20 km from where RJD rally took place a few hours earlier. Sources say that the BJP state unit gave wrong information about Prem Kumar Singh's rally, due to which the helicopter of Union Home Minister Rajnath Singh got down to the wrong place. It is known that Union Home Minister Rajnath Singh has the security of Z plus security. In such a situation, his program is decided by security in advance. On Wednesday, Rajnath Singh had a rally at Shambhunganj, Dhindah (Purnea), Ahmednagar and Araria in Banka Lok Sabha constituency. They were arriving at Arriya at 3.40. According to the scheduled time, their helicopter flew from Purnea. Fuel was to be filled in his helicopter in Araria, but after getting clearance in Madhal, the helicopter landed. Here the helicopter of the Home Minister stands for security without half an hour. Crowds gathered in suddenly landed helicopters in Mahal. People started taking selfies with helicopters. Home Minister Rajnath Singh was sitting in the helicopter after realizing the land was wrong. Meanwhile, the pilot and helicopter staff controlled the crowd. When the Home Minister Rajnath Singh got the news of the helicopter is a wrong place, 15 to 20 officers arrived at the spot and handled the situation. Meanwhile, the fuel tank was also filled. About 45 minutes after the helicopter was flying. An official said that the Home Minister Rajnath Singh's helicopter landed in the Naxal affected area. In such a case it is a big mistake. We are investigating the matter.